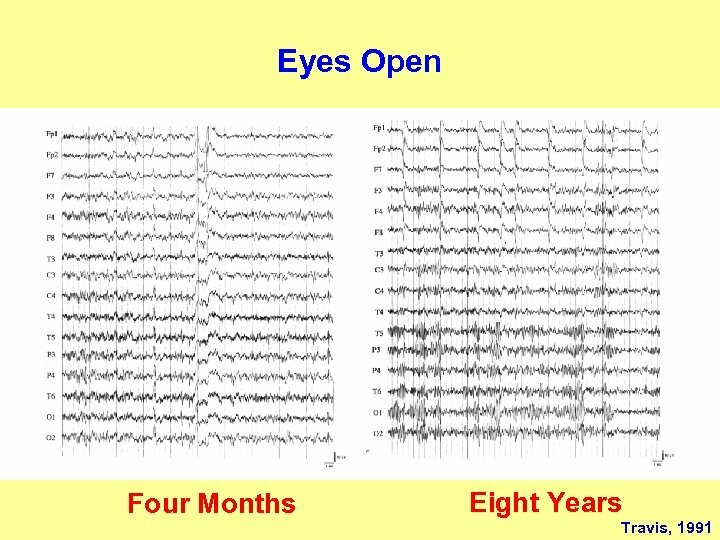 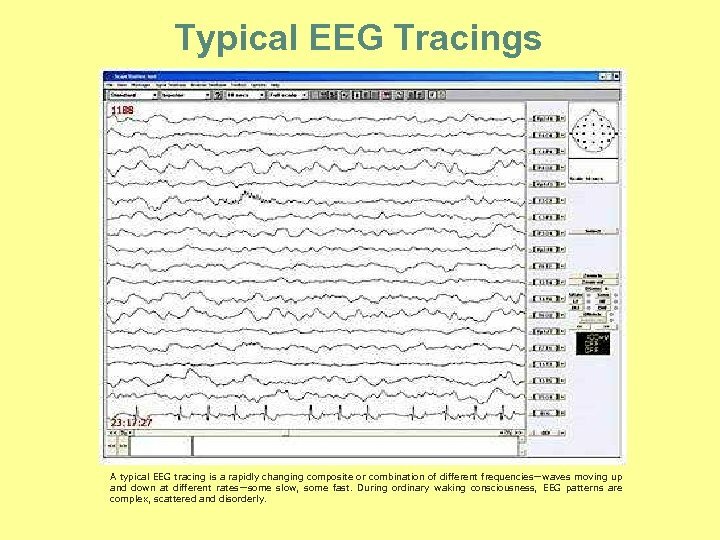 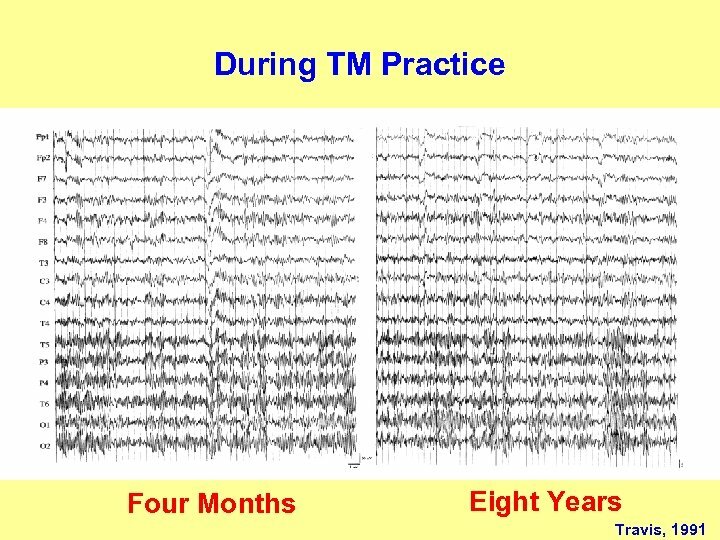 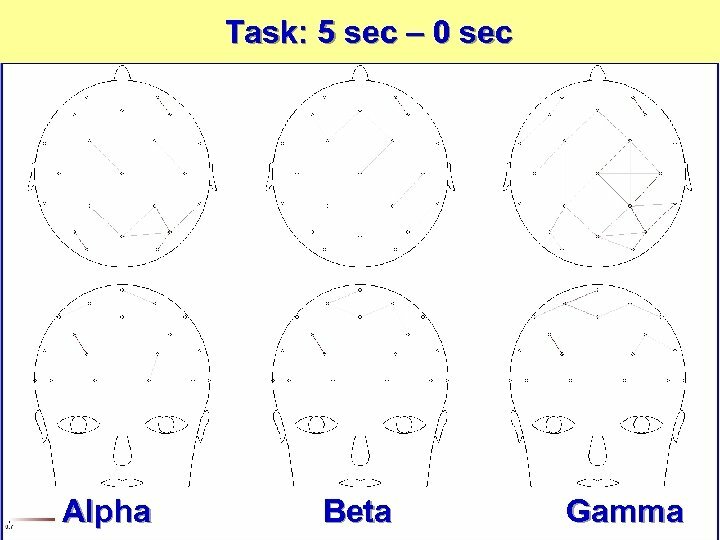 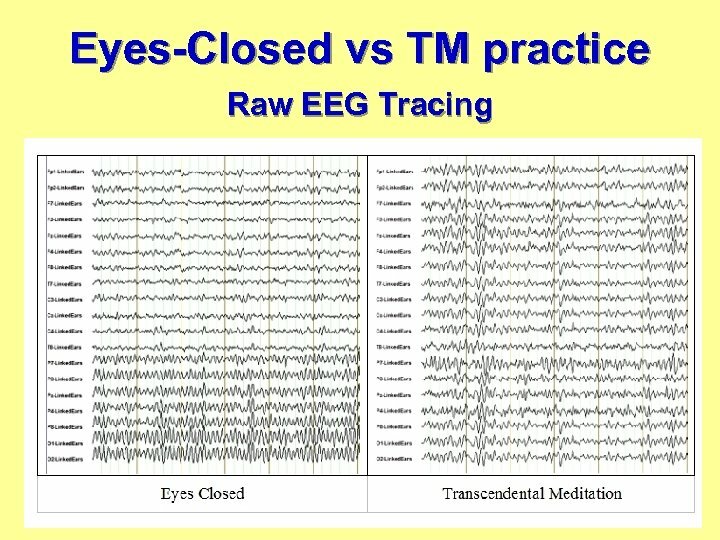 Typical EEG Tracings A typical EEG tracing is a rapidly changing composite or combination of different frequencies—waves moving up and down at different rates—some slow, some fast. 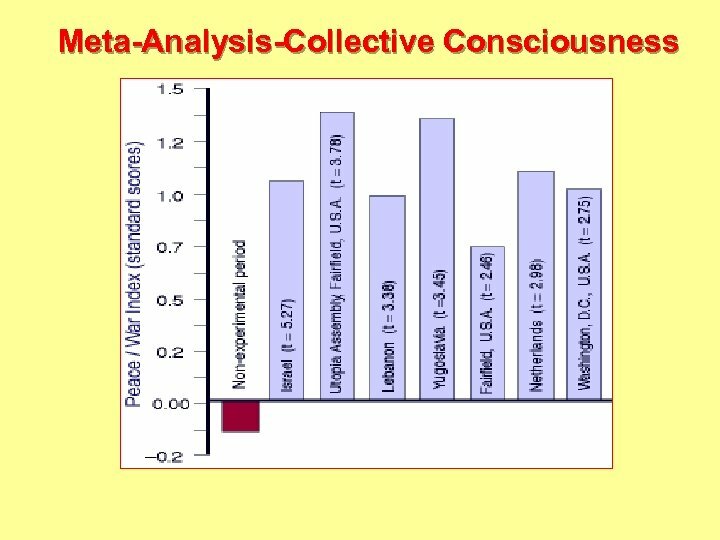 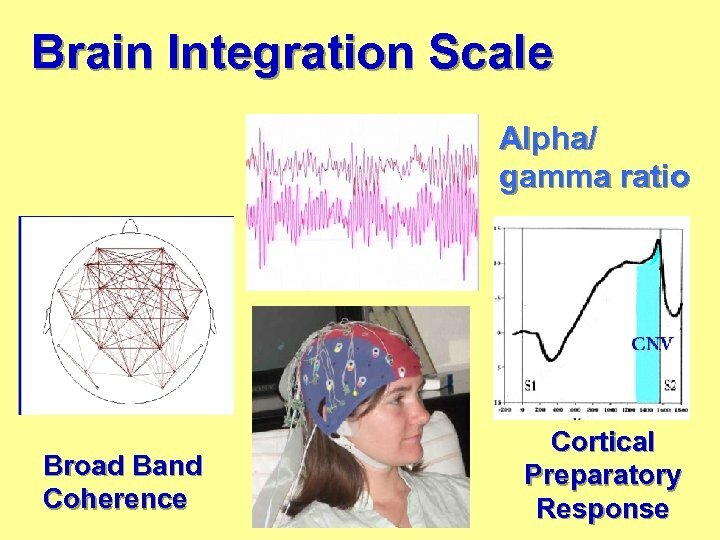 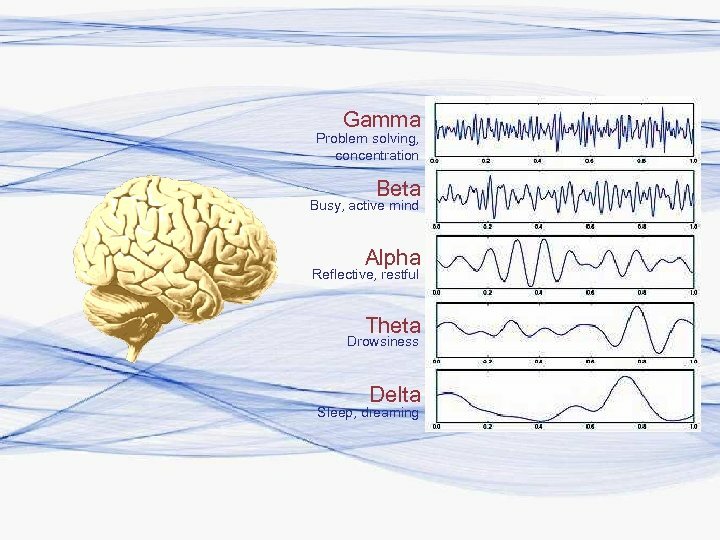 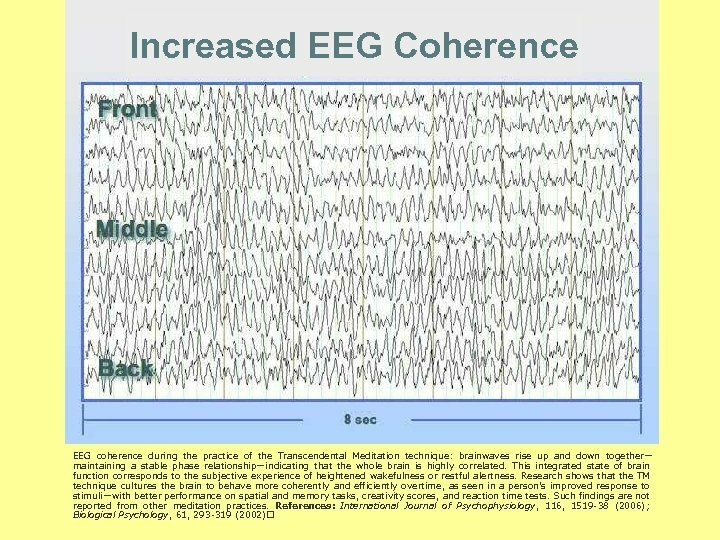 During ordinary waking consciousness, EEG patterns are complex, scattered and disorderly. 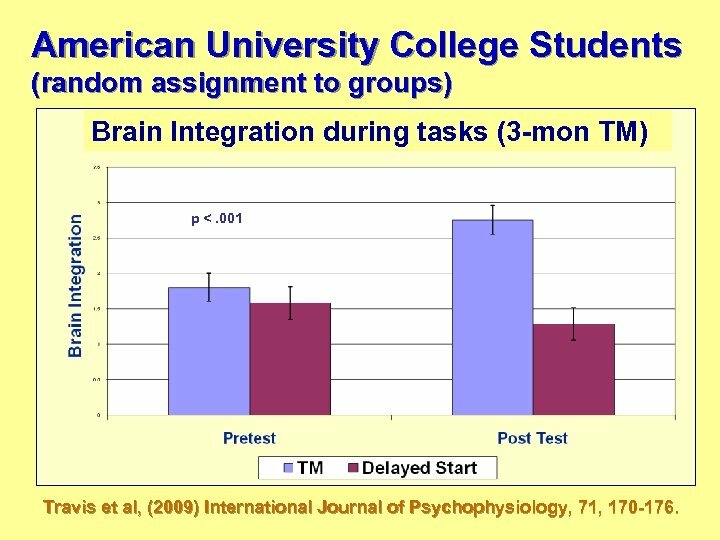 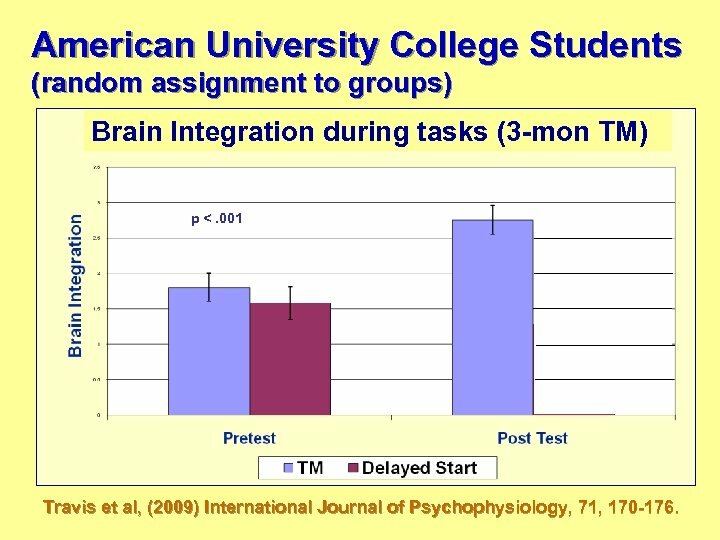 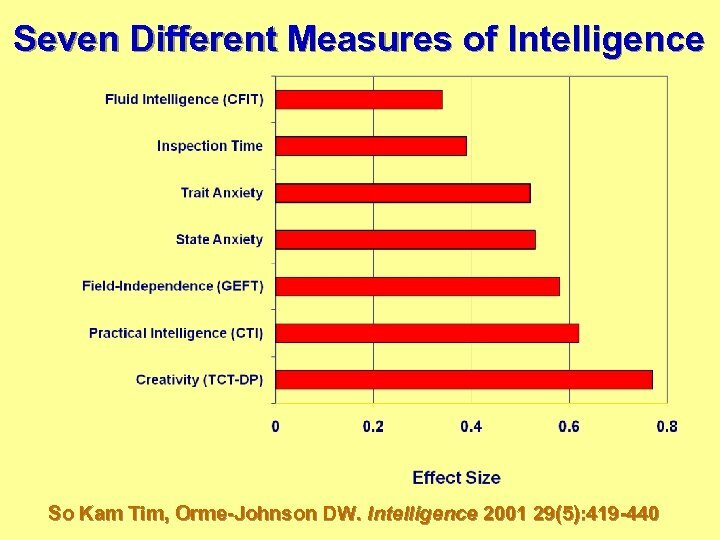 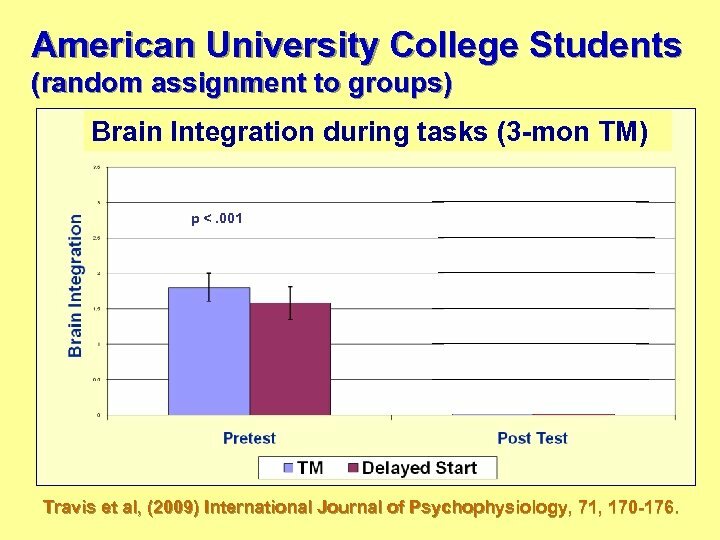 American University College Students (random assignment to groups) Brain Integration during tasks (3 -mon TM) p <. 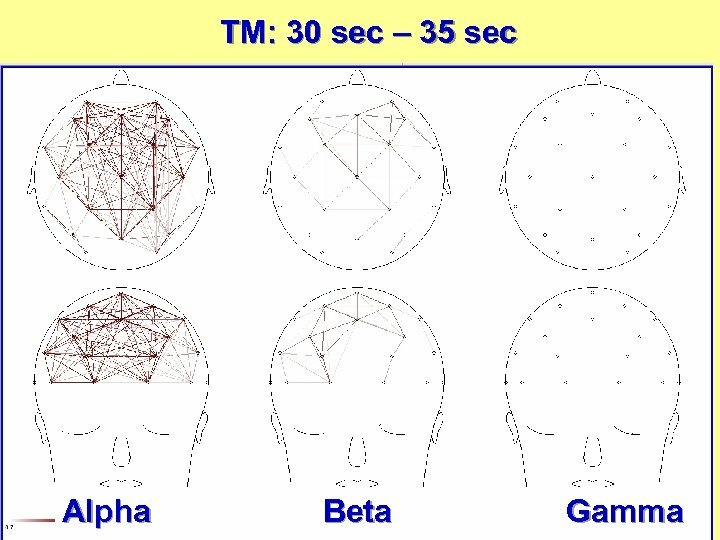 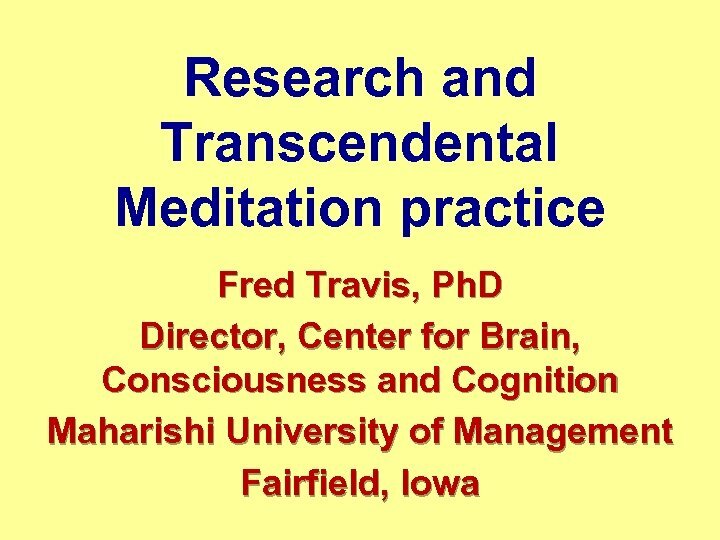 001 Travis et al, (2009) International Journal of Psychophysiology, 71, 170 -176. 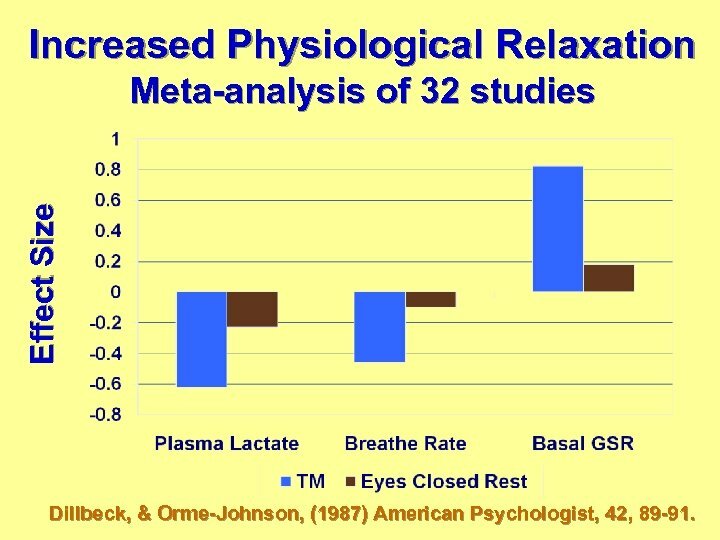 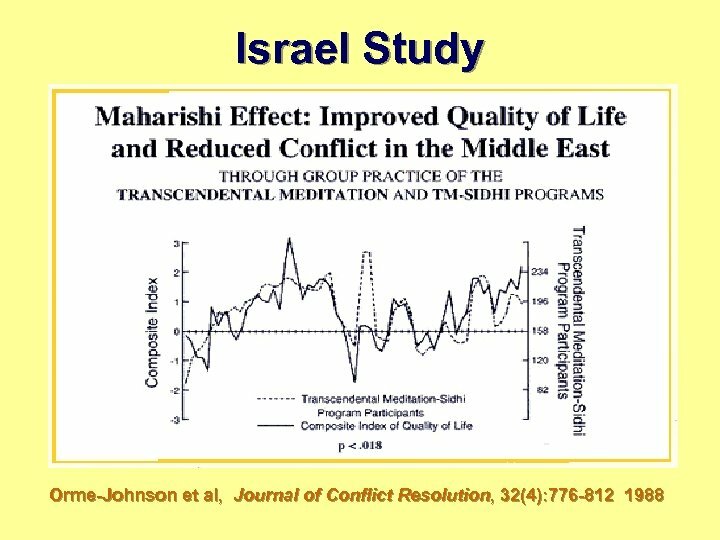 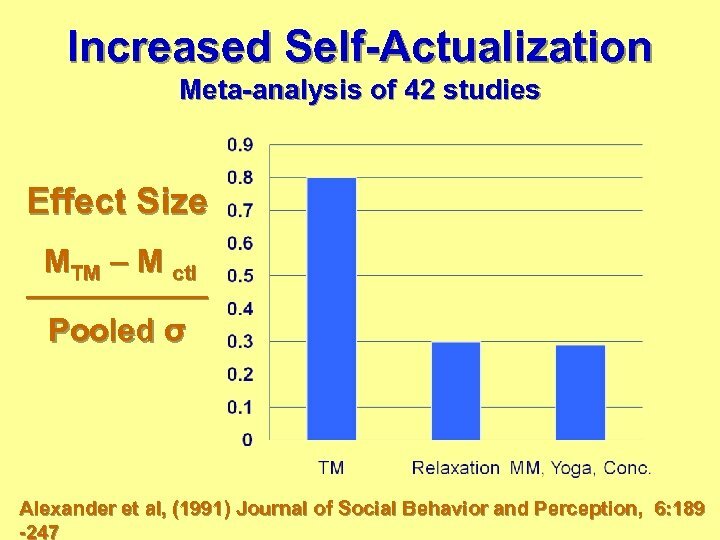 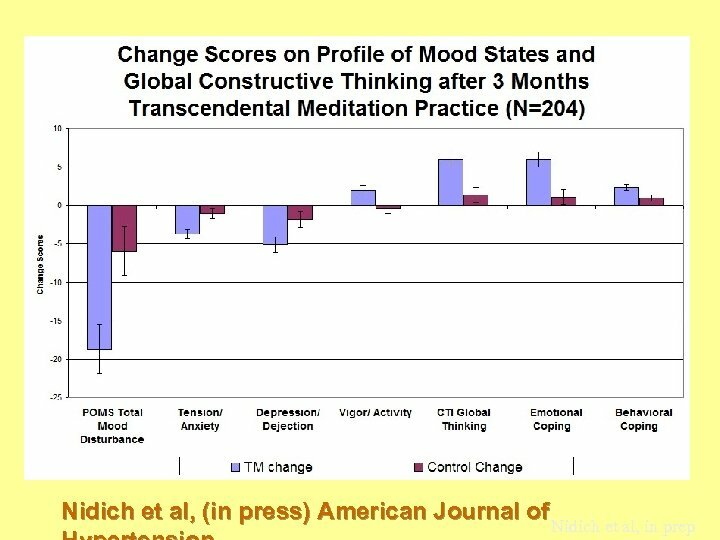 Increased Physiological Relaxation Effect Size Meta-analysis of 32 studies Dillbeck, & Orme-Johnson, (1987) American Psychologist, 42, 89 -91.